What is the Requirements Traceability Matrix (RTM)? 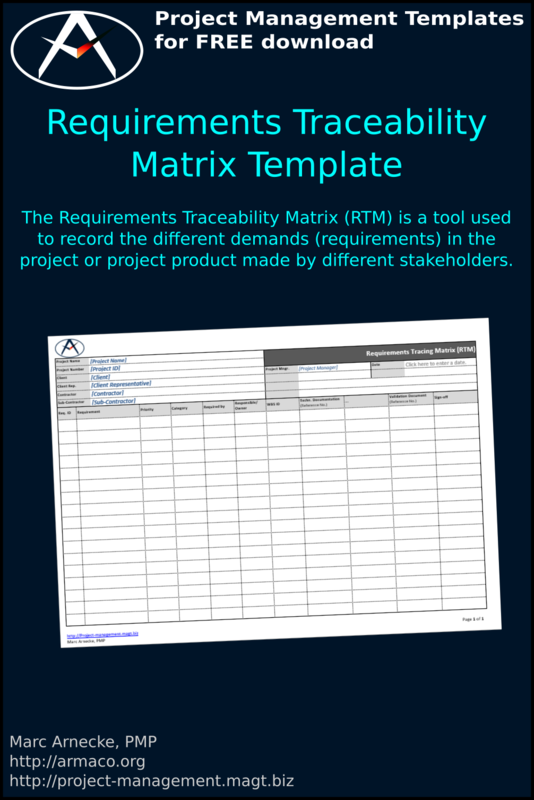 The Requirements Traceability Matrix (RTM) is a tool used to record the different demands (requirements) in the project or project product made by different stakeholders. In principle, the tool is a simple table that links requirements, the name of the requester, the technical description of the requirement, and the acceptance of the request. The Requirements Traceability Matrix (RTM) template also allows setting priorities, which is very useful when certain requirements overlap and conflict with each other. A subdivision of the requirements into different categories is also possible.